Be decisive, right or wrong, make a decision. 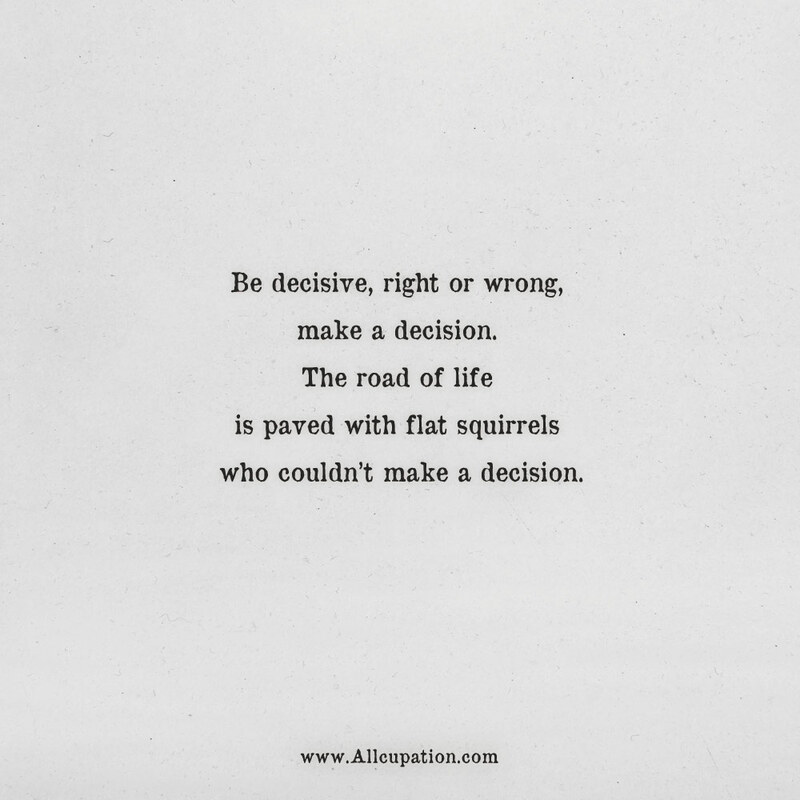 The road of life is paved with flat squirrels who couldn’t make a decision. 1 | Let’s start the journey. 2 | Sometimes we fall down because there is something down there we’re supposed to find. 3 | Don’t underestimate me. I know more than I say, think more than I speak, and notice more than you realize. 4 | The greater your storm the brighter your rainbow. 5 | The broken will always be able to love harder than most, once you’ve been in the dark, you learn to appreciate everything that shines. 6 | If you focus on results, you will never change. If you focus on change, you will get results. 7 | Every day may not be good but there is something good in every day. 8 | I don’t want you to save me, I want you to stand by my side as I save myself. 9 | See the light in others, and treat them as if that is all you see.